Bakker’s classic of ecological science now includes three new chapters on Southern California which make the book more useful than ever. Striking new photographs illustrate the diversity of life, climate, and geological formation. 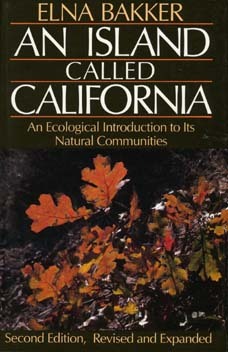 Elna Bakker (1921-1995) was a pioneering California naturalist and writer. An Island Called California is her best-known book; other titles include The Great Southwest and Desert Journal.